For a long time I have been fantasising about making realistic animals. 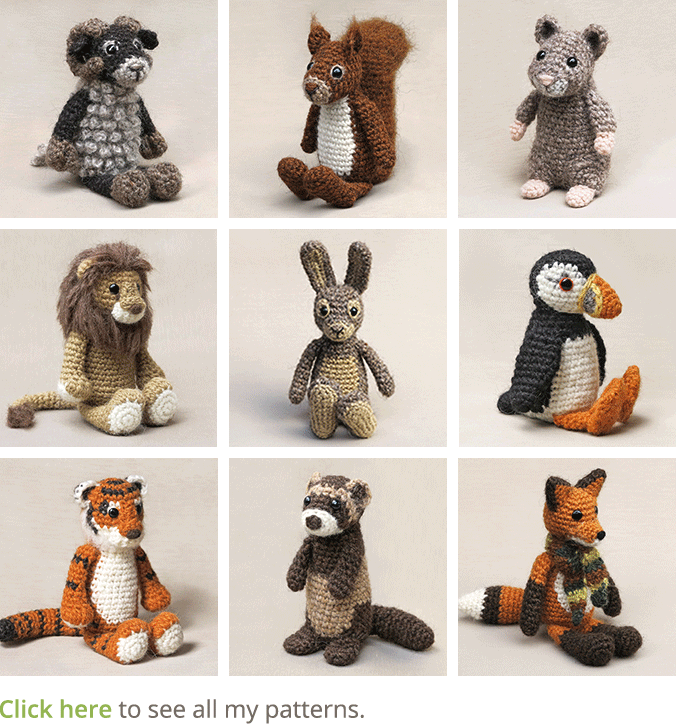 Even now, most of my patterns are more realistic looking than many crochet animal doll patterns around, but they are dolls. The idea of making a real looking animal is extremely tempting. It makes me feel excited and I think I’m able to do it. This Summer I was so incredibly lucky, I saw a badger in broad daylight, in the middle of the afternoon and very closeby. It was amazing, I was completely flabbergasted. The badger was foraging in bushes very close to where we walked, then saw us and disappeared till it decided to cross the path a bit further away from us anyway and passed us again. We had enough time to be amazed first and then got a proper look! It felt like the badger was there just for me to see it. Now you can guess the realistic animal I am going to make, yes, a badger! I’m looking so forward to start working on it. And no worries, I will never stop making ‘Popkes’ (little dolls), that’s just too much fun. And because I never made a realistic animal before, I have now idea if I will succeed. Let’s hope it will work out and there will be a pattern in the nearby future. Back to little dolls for now, there is one that is almost ready to get published, the sloth. And oh, what a joy I had making the sloth. At first, I didn’t even felt like making a sloth. Ashamed as I am, I must admit I found them quite hideous. Many people seemed to like them a lot and I often got requests if I could make a pattern for one. 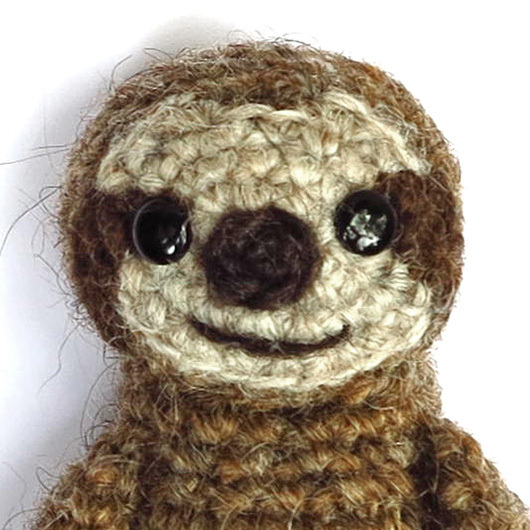 Then I decided to ask in my Ravelry group which animal pattern people were looking forward to and the sloth won. By change, I had just bought the cutest ever sloth calendar and started to look better at them. I got enchanted by their utterly sweet and loving face. They might have the strangest body proportions, but they have the most kind face you can imagine. I soon started to love them and couldn’t wait to get the pattern ready. Here’s a little preview of my sloth’s sweet and mischievous face. 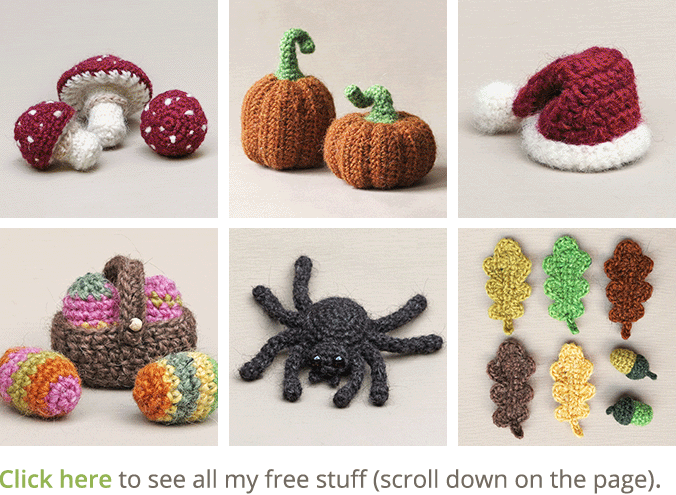 We’ll meet here soon when I publish the pattern! Hi peeps, it seemed appropriate to give you an update about what I’m up to. I am doing something I normally would not do. I am making two Ida monkeys as assignments. 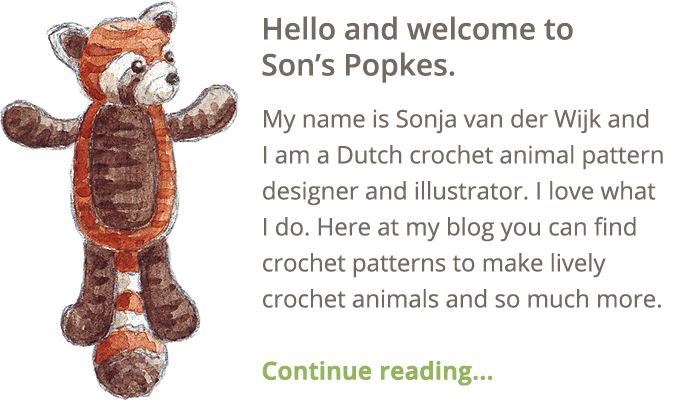 When I started Adi’s pattern, I planned on making an extra monkey for my friend and illustrator Esther van Hulsen. But I didn’t plan on making another one. When Esther showed Adi to the professor that bought the Ida fossil, he was so delighted with the result he wanted to have one too. Well, I could not reject that, it felt fair to make him one too. So, now I am working on the monkeys. I have to change their appearance a bit to make these look exactly like Esther’s version, but that makes it more fun. You probably wonder why I never take assignments to make animals. Well, the main reason is that I get attached to them. When working on them I start to love them and have trouble giving them away. Also, if I would take more assignments like these, it would mean I would be constantly making the same animals and have less time designing new patterns, and that is what I love doing most. Every time it’s a challenge to create a new and fabulous looking doll and it keeps me fresh! Now about a new design. I haven’t decided yet what animal I am going to make after I have these monkeys finished and I am open to suggestions. If you come up with something I really like, it might be the animal I am making next. So don’t be shy and let me know what you would like to see! For me the house needs to be clean and tidy before I can sit relaxed behind my desk, knowing all the time ahead is for me. Today all was set and done and what a delight. This is the result! 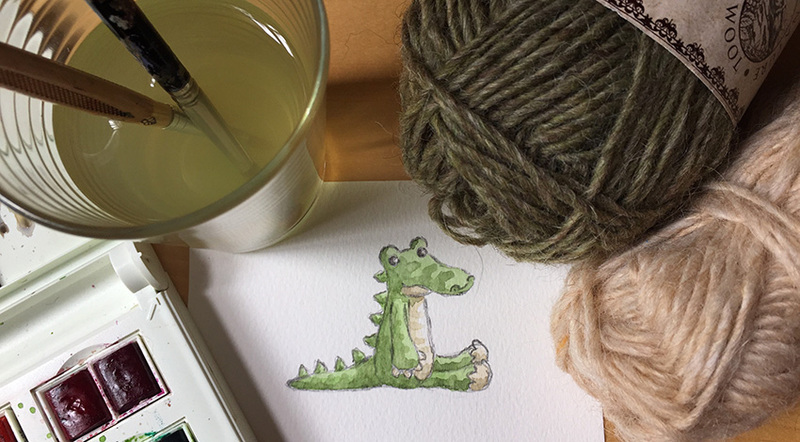 I made a last crocodile sketch in watercolour and now am ready to enter the world of wool. I’ve been in the world of wool this summer, but that was for knitting, look what I made! Now it is time for my dearest friend, crocheting. 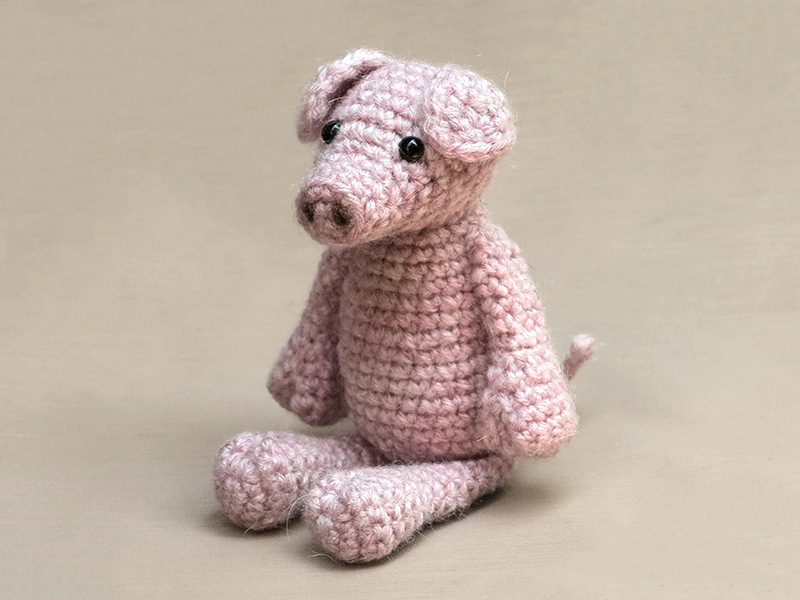 I am going to try some new stitches for this crochet animal to get a fabulous crocodile texture, so this will be an all new adventure for me. And keep your #popkejoy photos coming, I have seen some hilarious ones already!